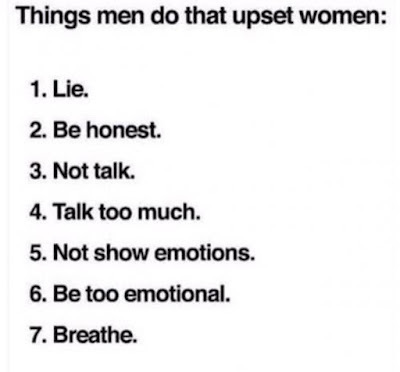 Things men do that upset women: 1. Lie 2. Be honest 3. Not talk 4. Talk too much 5. Not show emotions 6. 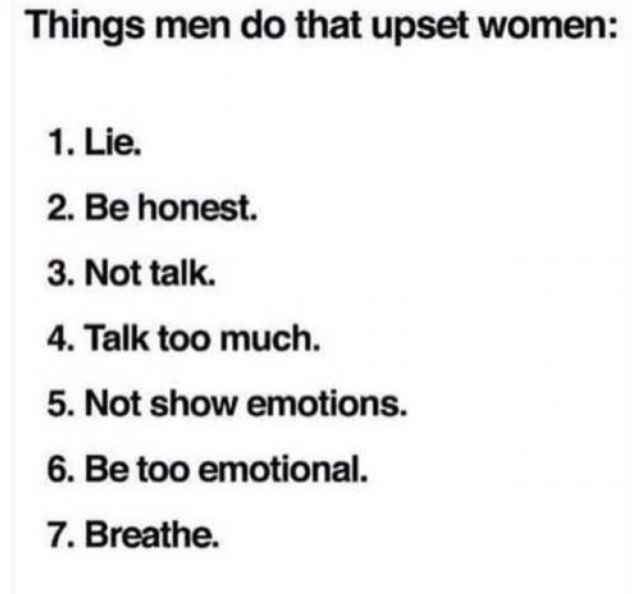 Be too emotional 7. Breathe.